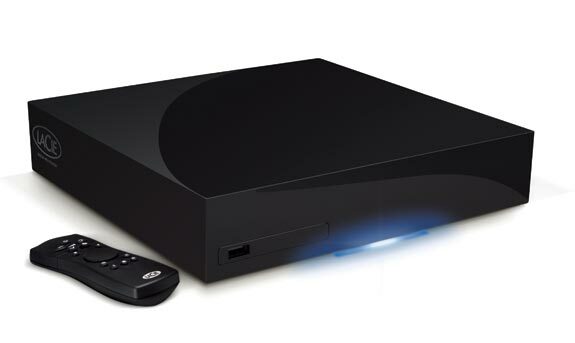 We featured the LaCie LaCinema Black Max HD media player on the site previously, LaCie has expanded their range adding two new HD media players, the LaCie LaCinema Black Play and the LaCinema Black RECORD. Both of these new HD media players allow users to watch downloaded HD content on their HDTV, and they are capable of decoding full 1080p HD video, displaying HD photos, and upscaling standard definition movies to 1080i. The LaCinema Black Record features a built in DVR which lets you record, pause and rewind live TV with, and each one comes with a 500GB hard drive. Prices start at £289 about $470 and they are now available from the LaCie store.